Sandstone is a popular stone with sculptors. Millions of tones of crushed rock are needed annually for road base, paving, ready-mixed concrete and asphalt. Sandstone which is not so hard-wearing or beautifully patterned is used for garden walls and paths in landscaping. Basalt: It is quarried and crushed as "Blue Metal" which is used as a road-base, and in reinforced concrete as aggregate. 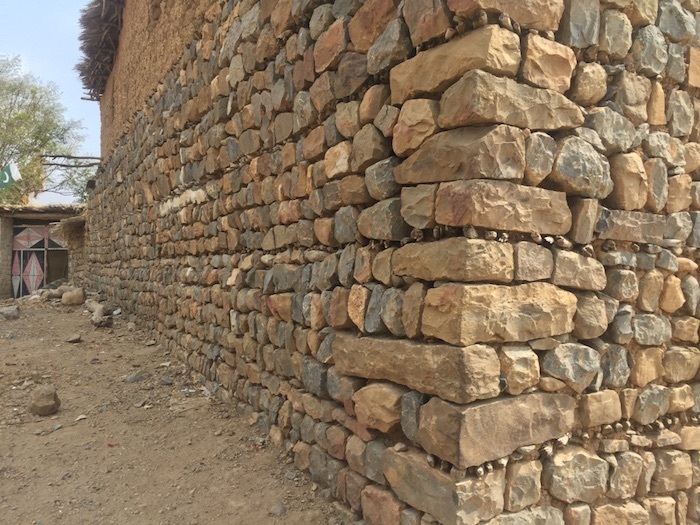 Although wood, straw and mud is used for houses in some parts of the world, most buildings are preferred to be built of stones. Material for foundation and walling of buildings, dams, bridges, etc. Shale is a component of bricks and may also be used in manufacturing of cement. Nite, another stone type is used for architectural construction, ornamental stones and monuments. Stones are replaced by the increased use of RCC. Dressing of stones is time consuming Stones are not cheaply and conveniently available in plain areas.